Please select options for Raxiom Raptor Style Grille Light Kit - Splice In (09-12 F-150) at the top of this page. Hey, what's going on, guys? Adam here with AmericanMuscle.com. Today, I'm bringing you a detailed overview of the Raptor Style Grille Light Kit, fitting all '09 to '12 F-150s. So in this video, I'll be talking about the construction of the materials, what it's all made up of, the function and the styling of the actual product, and I'll even touch on the installation, which I'll tell you upfront, would normally get a one out of three wrenches, but this time, I'm going to give it about a one and a half. It's not quite a two, but it will require some wiring, which I'll also get to a little bit later on in the video. So let's jump right into it. So the Raptor Style Grille Light Kit is going to be for the '09 to '12 F-150 owner out there looking to get a different, more unique style for their front end while picking up some accent lighting that's similar to that of the Ford Raptor. So the Raptor Style Grille Light Kit I have here today is going to be for the '09 to '12 F-150 owner out there looking to get a little more of an aggressive front end styling with some accent lighting that's similar to the Ford Raptor's, without breaking the bank. 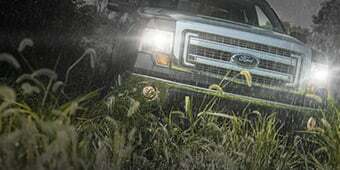 So the Raptor Style Grille Light Kit is exactly what it sounds like when you hear the name. 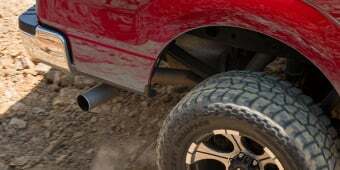 Basically, it is going to be a light kit that attaches to your front grille that gives off the Raptor styling. 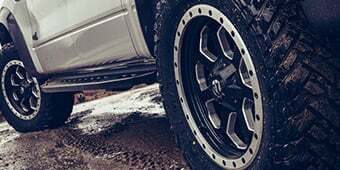 Now, the iconic Raptor styling is sought out by many of the F-150 owners out there simply because it is such a beast and it gives off one of the most aggressive looks out of all the trucks on the market, so it's pretty common to try to capture that styling. 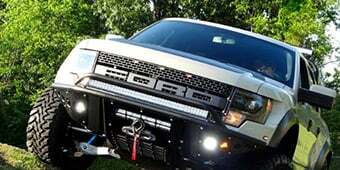 Now, if you are trying to capture the styling, this grille light kit right here will actually give you a little bit of the taste of the Raptor styling, like I said, without breaking the bank, for the front grille of your F-150. So this grille light kit offers that Raptor styling by attaching to the front upper portion of your grille, giving you three individual LED lights, as you can see here, all barred together with this design, and even offers a pre-wired harness, which I'll touch on in just a little bit here. 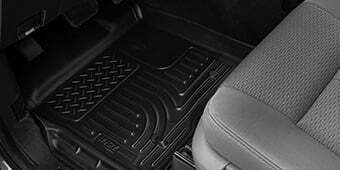 Now, this also works with all factory grilles and virtually almost all aftermarket grilles as well, so you don't have to worry about it not working with your unique set up. Now, when these lights are plugged in and functioning, you can expect an amber-colored LED light that, although it's a very small addition to your front end, it is going to make a big difference in the grand scheme of things. So this was all manufactured right here in the U.S. out of a heavy-duty steel, so you know they'll be durable and stand up against the heat under the hood and won't warp. Now, with all that said, they are finished in a powder-coated black, just to give it that corrosion resistance and a long-lasting lifetime. So one of the good things about picking up this kit is you won't even have to cut or drill and do any modification to your truck at all, including the factory wiring. Everything you need to get the job done is included in the kit, and they'll even utilize your factory mounting positions already on the vehicle. Now price wise for this particular kit, expect to be spending just about $80, which in my opinion, is definitely an affordable price to get a noticeable difference for your front end and pick up that Raptor styling that is so iconic. So the installation, like I said in the beginning of the video, is going to be fairly simple but it will require some wiring which, honestly, is not too bad of a job. You won't even be required to pick up any special tools. You can use some common handhelds, like a flathead and Phillips head screwdriver, a ratchet and socket set, and even some pliers. So to kick things off, you want to pop your hood and remove the bolts on the back side of the Ford emblem on your grille. From there, you can decide where you want to mount your light bar. If you want to mount it a little higher on the grille, you're going to use the round circles here. If you want to mount it a little bit lower, use the longer slots. So once you figure out where you want to mount that, you can tighten it down using the 10-millimeter nuts provided. After that, you want to tighten down your wiring using the adhesive-backed clips. Once you secure the wiring to the base of the hood, you want to run it down the passenger side firewall to the passenger side headlight. Remove that headlight to gain access to the connectors. Once you get that passenger side headlight off, you want to locate the running light bulb wiring. From there, you want to use a supplied red wire tap to clamp down the correct wire. If you're rocking an '09 to '11 F-150, you're going to be using the yellow wire with the black stripe, and anything from 2012, yellow wire with the green stripe. Once you locate your wire, you want to clamp it down properly using that wire tap. Once you get that settled, you can take the red wire and plug it into the back of the wire tap. The black ground wire will attach to the bolt behind the washer fluid reservoir. From here, you can put everything back together and you're good to go. Now, if you get everything plugged in and it's still not working like it should, I have a few tips for you to check out before you get frustrated. You want to make sure you're using the correct colored wire for the year of your truck. Remember, if it's '09 to '11, it's yellow with a black stripe, but anything from '12 will be using a yellow with a green stripe. You also want to make sure you're plugged into the running light and not your turn signals. From there, you also want to check your ground wire to make sure it's tightly connected to that bolt to get the proper ground connection. If everything's done correctly, it should be coming on and you're good to go. Overall, expect to be spending just about an hour in the driveway at home. And, like I said, maybe a one, one and a half wrenches out of the difficulty meter, simply because it does require some wiring, but anybody should be able to take care of this in the driveway at home. So just to quickly wrap things up, guys, if you're the owner of an '09 to '12 F-150, and you're looking to kind of pick up that Raptor styling for the front end of your grille with some accent lighting, you might want to check out the Raptor Style Grille Light Kit, which is available right here at AmericanMuscle.com. Raptor Styling. 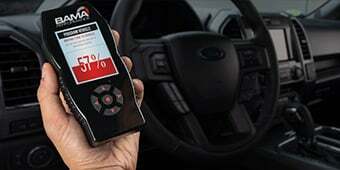 Get the awesome styling of the Raptor model F-150s for your very own 2009-2012 pickup. This grille Lighting Upgrade Kit by Raxiom is designed to bring a bit of rugged yet stylish LED illumination to your front factory grille. Three long lasting amber LEDs will shine through the slats of your grille, adding the finishing touch your F-150 has been waiting for. Quality Construction. Manufactured from precision cut CNC aircraft aluminum, the bracket of this Raptor Style grille Light by Raxiom is completed in a stealthy black powdercoat finish. Featuring clear lenses and resilient amber LEDs, this lighting upgrade is 100% waterproof and has been approved by the DOT. Simple Installation. Designed as a simple splice in installation, this Raptor Style Lighting package includes everything required for a full install in about 30 minutes time. 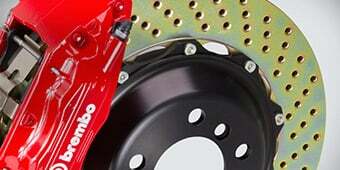 The mounting bracket utilizes the existing studs behind the grille, so no drilling or cutting is necessary. Best of all, you won't have to remove your grille to install this upgrade either. Application. 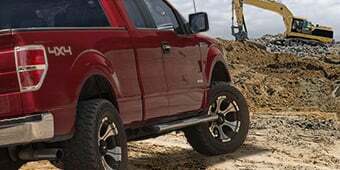 This Splice In Raxiom Raptor Style grille Kit is specifically designed for installation on 2009-2012 F-150s with the factory grille installed. I have a 2012 F150 Lariat, and I am going to install the polished billet grill inserts. Will the Raxiom Raptor Style Grille Light Kit still work and look good behind the billet insert? The Raxiom Raptor Style Grille Light Kit would not be compatible with the polished inserts. One the the LED's burned out on me. Can I get a replacement LED? Please give us a call at 1-855-419-3557 and one of our representatives will be happy to assist you. The Raxiom Raptor Style Grille Light Kit would not come in a different color other than amber. Unfortunately, The Raxiom Raptor Style Grille Light Kit - Splice In (09-12 All) is not available in all black at this time but we are frequently updating our sites inventory. The Raxiom Raptor Style Grille Light Kit will fit the 2011 Lariat F150. The Raxiom Raptor Style Grille Light Kit will be slightly brighter but overall will match pretty closely. This Splice In Raxiom Raptor Style Grille Kit is specifically designed for installation on 2009-2012 F-150s with the factory grille installed. Unfortunately, this grille is only designed to fit the 09-12 model F-150s. It will not fit a 2013 Lariat. I do apologize but this Splice In Raxiom Raptor Style Grille Kit is specifically designed for installation on 2009-2012 F-150s with the factory grille installed. This would not fit your 2014 XL. The Raxiom Raptor Style Grille Light Kit - Splice In (09-12 All) will fit with your 2010 F-150 Lariat grille as long as you have the factory grille still installed. I love this kit. No problems with the installation. Gotta make some adjustments for the king ranch since the middle light is somewhat obstructed by the grille if looking directly at it. Nothing some cutting won't fix!!! Didn't even last a year. I bought this product before I bought my truck. Ended up putting this on in the late summer 2017, today is May 15th 2018 and one of the lights doesn't even work anymore. My dad just pointed it out to me, so who knows how long it hasn't been working. No warranty or any help replacing it. I won't be dealing with this company again. I thought this was a much less expensive alternative than buying a new grill. Works great and very easy to install. 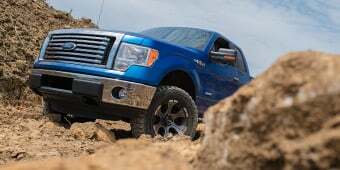 Differentiates the truck from other F150s. I like it. Not sure that I love it because I like a very subtle look but it definitely not over the top either. Took me a little bit longer to install because I had to figure out my wiring. Do not follow the video instructions as Ford used whatever color wires they had accessible at the time. Follow the insteuctions that come with the product. I wired mine into the side marker lights. Purple/White is , black/grey is -. Very simple install, took all of about 30 minutes to have up and running. 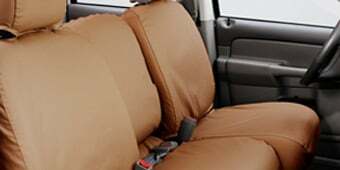 Easy to follow instructions and strong quality product. Great product. Easy install. Easy instructions. American made. Nice cheap ad on for the truck. I have got a lot of compliments so far. Fit was perfect Did not take long to install hooked mine up to the fog lights so they could be turned off also. Great product. Didn't fit exactly, I had to do a little fabricating to make them fit with my aftermarket grille. The wiring was simple plugs right in. Just got these L.E.D's and there super easy to install and really make the truck look great at night. Very easy to install and looks super clean. Product appears well made and lights up nicely. You get plenty of wire to cleanly install and i even had some to spare. Good instructions included. Took me about a half hour to install with a couple sockets and a pair of pliers. Would definitely recommend these to anyone who likes the look.